Advantech's Passive Backplanes including PCI boards, ISA boards, PICMG 1.3 full-sized, PICMG 1.0 full-sized and half-sized single board computers (or system host boards), which is easily customized based on customer's application. Matching chassis are available by option to all backplane products. Advantech's PCI boards, ISA boards, PICMG 1.3, PICMG 1.0 full-sized and half-sized single board computers provide outstanding expansion flexibility. Advantech's PICMG 1.3 System Host Boards (SHB) standard supports Intel's latest technology, Core i7/i5/i3 and Xeon processors. Advantech's PICMG 1.3 System Host Boards (SHB) has plenty of backplanes to achieve unsurpassed flexibility and performance, and to greatly shorten MTTR (Mean Time To Repair) with efficient space-saving design providing better cooling design. Since the power and expansion interfaces are through backplanes and SBCs must be assembled with backplanes for operation. SBCs and Embedded PC must be assembled with backplanes for operation as the power and expansion interfaces go through the backplane. Advantech offers complete PICMG Full-Size 1.3 SHB backplane solutions focusing on each series SBCs and application, allowing you to find your ideal solution fast within our Mainstream Backplanes and Server Grade Backplanes product categories. Advantech PICMG 1.0 Single Board Computers (SBCs) features comprehensive backplane support. Our complete PICMG 1.0 Full-Size SBC Backplanes product line offer you low MTTR (Mean Time to Repair) approaches. PICMG1.0 SBCs are the most flexible and expansible solutions for industrial and slot-hungry applications. 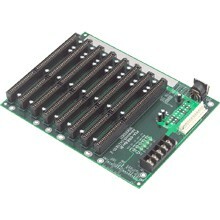 For half-size SBC Backplanes, Advantech provides a full selection of PICMG1.3 SHB backplanes, which are compatible with half-size PICMG1.3 slot Single Board Computers (SBCs). 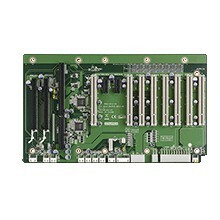 Our PCI/ISA SBC Backplane product line offers you levels of mainstream and server-grade choices. Supporting your rugged needs in Industrial Control, Factory Automation, Network Appliances, and ATM Kiosk, Advantech’s half-size PICMG1.3 SHB Backplanes are especially suitable for mid-range industrial applications that require limited space. 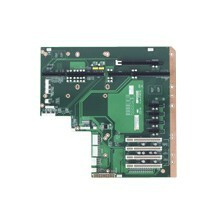 Advantech PICMG 1.0 Half-size Single Board Computer (SBC) cards support Industrial Control, Factory Automation, Network Appliances, and ATM Kiosk, etc. 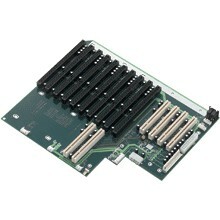 The design includes industry-standard ISA, PCI gold fingers for easy expansion. Half-size SBC cards support a full range of performance options, from 386 to Pentium M-level CPUs, as well as great expansibility, from ISA to PCI. Fanless cooling options and low-power configurations are available, too. Advantech's Half-Size SBC cards are especially suitable for mid-range industrial applications that require limited space such as ATM kiosk machines and industrial control systems. Other applications for Half-size SBC cards include Factory Automation, Network Appliances and Gaming Machines.